Another year is upon us, so it's time to get excited about some of the albums due for release throughout 2018. FIRE up your preferred music playing device and open up your diary: it's time to take a look forward at the next 12 months for music and some of the albums you should definitely add to your new tunes wishlist. Get ready for a "super positive and inspiring" new offering from pop princess Kylie Minogue, who will release her 14th studio album this year. The Australian music star has already spilled the beans on her new effort, which will follow 2014's Kiss Me Once and her 2015 festive collection Kylie Christmas, admitting that working on the record helped her through a difficult break-up with former fiance Joshua Sasse. Minogue, 49, told The Sun that there is "a little bit of heartbreak" in the album and that, somewhat surprisingly, it is largely inspired by her time in the country music capital of the world – Nashville. The Can't Get You Out Of My Head and Spinning Around hit-maker said: "I went to Nashville for two weeks and that became the album. I did a lot of work on the album before that but Nashville had a profound effect on me. "The songs are very storytelling and story-based. It was so great to do things a little bit differently." The release date and name of the album are yet to be revealed, but Minogue has assured fans it will drop in early 2018. 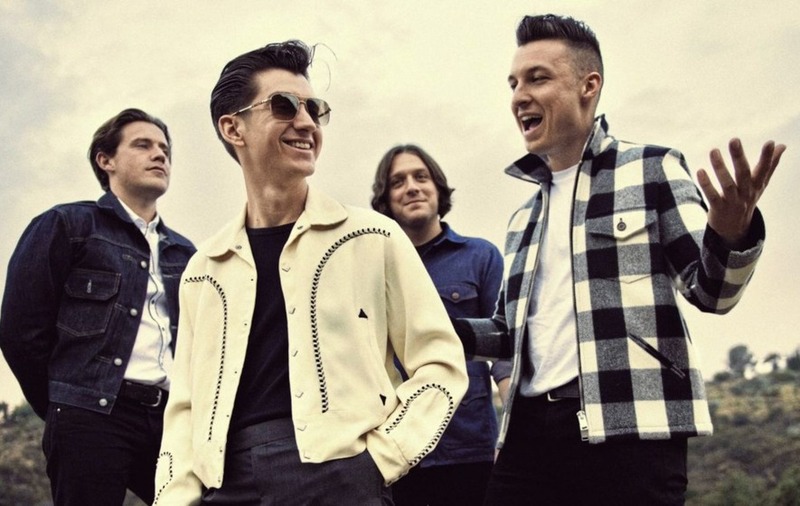 Sheffield rockers Arctic Monkeys will very likely be back this year with their as-yet untitled sixth album after a hiatus. The Alex Turner-fronted band's previous record was released over four years ago, so their legions of fans will no doubt be chomping at the bit for some new tunes. They'll have to follow their own glory, though, as 2013's AM is one of the biggest selling records on vinyl of the decade, and it was nominated for the Mercury Prize. The band's bassist Nick O'Malley has already hinted that the record is under way. He told motorcycle magazine The Ride that they had joined forces from September at a "secret location" and had already started recording. He added that he hoped a new album would be out in 2018, and that "if it isn't, we've got problems". While there is nothing more concrete from the band just yet, rumours have recently been floating around that they have been recording both in their native Sheffield and in Los Angeles. Watch this space. Rita Ora's second album has been a long time coming, but the wait is almost over. The singer-songwriter, whose chart-topping debut album Ora was released in 2012, has faced years of issues – including a lawsuit against her former record label – that have delayed her follow-up. It was expected to be released in November 2017 after several hold-ups, but in August the 27-year-old told fans once again that she had pushed it back. Despite the delay, she had previously promised exciting things in the album. She told fans on Instagram: "I was going crazy not being able to put music out, I am happy to do that and knowing you guys are still there makes me so happy." The pop and R&B singer added that "it's going to be major" and that she has been "working on it for ages". "There's some amazing people on it and amazing surprises." In 2017, Ora scored two top 10 singles – Your Song went to number seven, and Anywhere peaked at number two – which should surely be a sign of good things to come. Since Camila Cabello's 'shock departure' from girl group Fifth Harmony in December 2016, the singer-songwriter's star has risen immeasurably. She has scored success all over the world, having won several top awards on her own, and her solo career has gone above and beyond that of the group that was originally formed on the US version of The X Factor in 2012. Cabello's self-titled debut solo effort was expected to be released last year and was originally called The Hurting. The Healing. The Loving, but the Cuban-American star opted to make a few changes. In an Instagram post in December, the 20-year-old described the album as "the soundtrack to the past year of my life", and added that "all of these songs have special memories behind them". She added that "it feels emotional letting them go, feels like the end of a chapter". "I decided to call it by my name, because this is where this chapter in my life ended," she went on. "It started with somebody else's story, it ended with me finding my way back to myself." The album includes her number one hit Havana - which topped the British charts for five weeks and made her the longest-running female chart-topper since Adele released Someone Like You in 2011 - and newly-released track Never Be The Same. Camila will be released on January 12. Rapper and singer Plan B is back soon with his hotly-anticipated third album Heaven Before All Hell Breaks Loose. The record comes a whopping eight years after his critically acclaimed last effort The Defamation Of Strickland Banks, which topped the charts and spawned hits She Said and Stay Too Long. But those expecting rap might be disappointed. He recently told GQ magazine that he left rapping off this time around "because I feel that I'm not being honest with myself if I'm living the high life and I'm trying to rap about the other side of things", although he has said he may have "one more hip hop album" in him before he turns 40. The 34-year-old has promised that, while it may be less hip hop this time around, the album will have a futuristic slant to it. Some of the album is based on the social and political changes in recent years, and also acts as a conduit for his living in "a perpetual state of heaven on earth". Heaven Before All Hell Breaks Loose is set for release in April.